Written by Nicole Kohler on June 10, 2015 Blog, Build your business, Social media. While logged into the Facebook account you use to manage your Facebook Page, look for a link to “Ads Manager” on the left side of your Home screen, under “Apps.” You can also visit Ads Manager directly using this link. It’s awfully empty in here. But not for long! Feel free to spend a few minutes navigating around the options on the left to get familiar with the options and interface. This may also be a good time to enter your billing information, which may save you a few minutes later on. Now you can create your Custom Audience. In this case, we want to do exactly what the first option, “Create a Custom Audience,” indicates: “connect with the people who have already shown an interest in your business or product.” Click this button, then select “Website Traffic” on the new window that appears. You’ll be showing your ad to those who have been on your website recently. Agree to the terms to proceed. Once you’ve read the linked Terms and Conditions, select the check box and click “Create Web Remarketing Pixel” to proceed to the next step. Insert the code provided in the head tag of your store’s pages. You’ll need to add this code to the <head> tags of your website. Depending on which eCommerce platform you run, you may only need to edit one file, or it may require editing several pages. If you’re using WordPress or WooCommerce, you’ll need to edit your theme’s header.php file, or you can use a plugin like this one to insert the code without manually editing files. Note that you don’t have to add the code to every page. If you only want to remarket to visitors who have at least made it to your shopping cart, just make sure the code is placed in the <head> of your cart and checkout pages. Or if you only want to remarket to those who have seen specific sale or category pages, you can place the code there and remove it later. 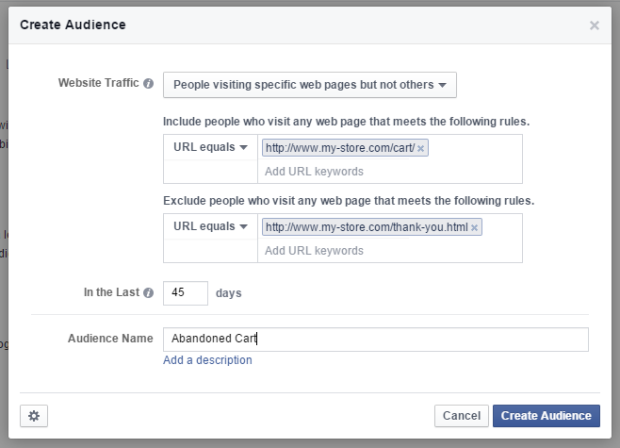 Facebook also allows you to limit exposure of your ad in similar ways, as you’ll see in the next step. 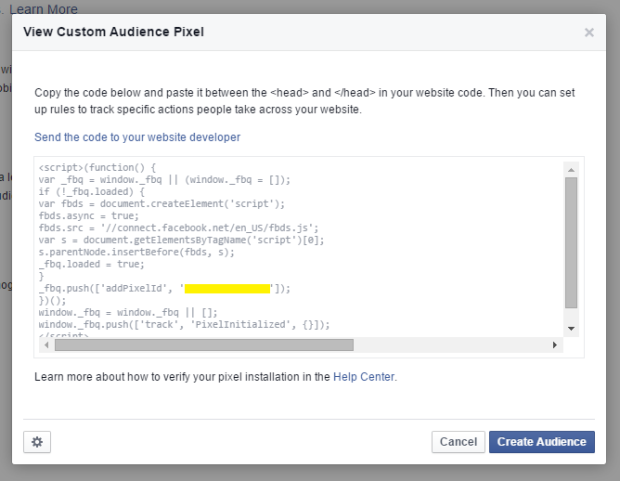 By adding this code, you’ll be activating Facebook’s special tracking pixel on your website. This will allow Facebook to associate your website visitors with logged-in Facebook users, and show them the ad you’ll be creating shortly. Time to create your audience! What you choose here is up to you. You can show a remarketing ad to every single person who has visited your website in the last 30 days. But it might be wiser to show ads only to those who have visited your site without completing a purchase, or maybe the shoppers who haven’t come to your store in a while. Facebook allows for very specific targeting options. An example of how to remarket to those who abandoned their carts (without completing a purchase). This is a great way to reach shoppers who you know are interested in your products, but haven’t actually completed a purchase with you. Click “Create Audience” and you’ll be ready to create your ad! Once you see this “thank you” message, you’ll be ready to create your ad. Your tracking pixel will need to be properly implemented on your website and viewed at least once before Facebook will allow you to create any ads for this Custom Audience. If it’s not, the “Create Ad” option on the resulting screen will be grayed out. Feel free to leave this page and come back later, though — you can access it again simply by visiting Ads Manager and clicking the “Audiences” option. 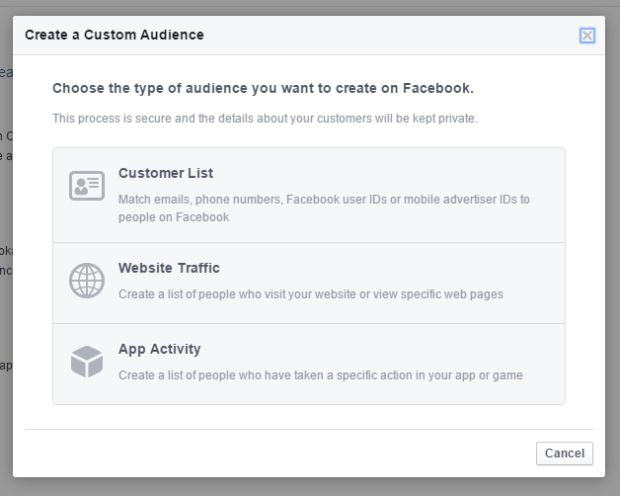 Facebook’s ads create tool allows you to complete this process by setting up an advertisement that your specified custom audience will see when they visit Facebook. During the setup of your ad, you can decide where it appears, how much money you want to spend, and what images and copy you want to use. Think carefully about your ad’s content and how it needs to match the custom audience you’ve created. If you’re remarketing to visitors who specifically visited your shopping cart, you might want to entice them back with a coupon code or special deal. On the other hand, if you’re simply retargeting every shopper who came to your store in the last month, you can use a broader message and graphics. You may want to become familiar with Facebook’s advertising policies before submitting your ad for approval. One of the most common issues for new advertisers is the text restriction, which states that text may not comprise more than 20% of any given image. So if you’re planning to offer a coupon code, you might want to limit it to the body of your ad text instead of in the image itself. Once you’ve created your ad, you’ll need to submit it for approval before it is activated. Facebook will review it within the next 24 hours (usually quicker) and return a response. If it’s disapproved, you’ll be told how to correct it so you can resubmit. If it’s approved, it will be made live immediately. Congratulations — you’ve set up your very first remarketing ad! Once your ad is running, you’ll be able to stop by Ads Manager whenever you like to view the status, how much money you’ve spent, and how many clicks and conversions you’ve accumulated. If you use Google Analytics to track conversions from external sources like Facebook, it’s possible that your ad traffic and conversion won’t be reported accurately. To avoid this in future ads, you can build links using Google’s URL builder that are properly tagged with source, medium, and ad campaign information. You can follow this tutorial to build and track these links in Analytics. One final tip: don’t end your campaign early just because you aren’t seeing sales. It might take several days or even weeks for shoppers to both view and act on the ad — even if they come back to your site again, that doesn’t mean they’ll complete their purchase right away. Try to wait as long as you can before making a decision to pause or delete an ad. You might even consider running a variation of your existing ad side-by-side to see if something specific, like your call to action or image, could be improved to raise conversions. Given the cost-effectiveness of Facebook advertising, and the potential to recover otherwise lost conversions you’ve read about here, you might be pretty excited to give remarketing a try. However, it’s not necessarily the best fit for your store, especially if you’re new or targeting a highly niche audience. 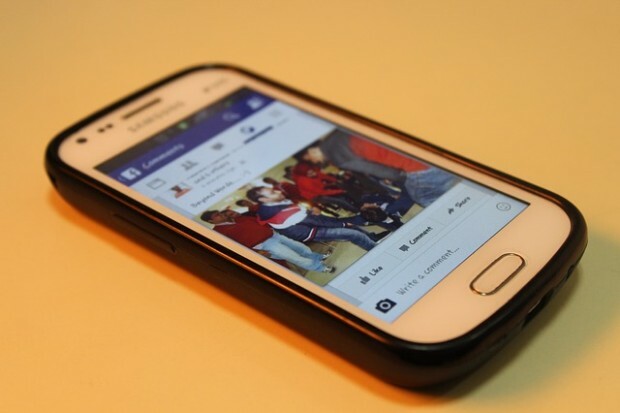 Facebook remarketing is a strategy best suited for growing stores. Remarketing ads will be the most effective when you have an audience of several hundred shoppers or more. Prior to scaling your traffic to this stage, you might find that any remarketing campaigns you deploy receive very few views, clicks, or conversions. Given how many ads Facebook users are exposed to, and how easily distracted they are, you stand a much better chance at reclaiming 100 sales from an audience of 2,000 than you do from an audience of 500. 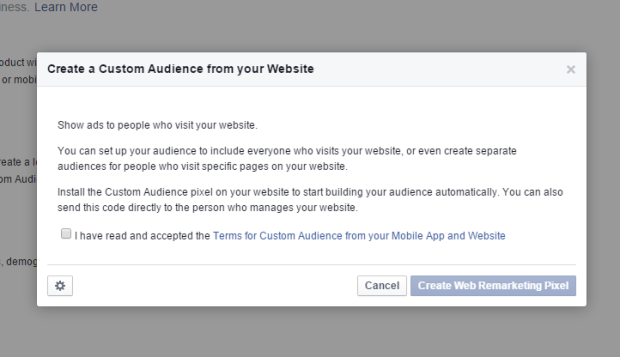 Another noteworthy item is that Facebook actually won’t allow you to create an ad if the audience you’re retargeting is too small. The network requires an audience of 20 users or more; if the audience you create is smaller than this, you’ll have to wait until it grows to proceed. 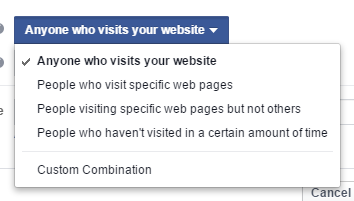 Keep this in mind if you plan on targeting visitors to very specific pages — Facebook put this requirement in place so you don’t waste money, not just to annoy you. If you’re still in the early stages of growth in your store, focus your time and energy on growing your audience before investing in remarketing. Two good ways to attract more traffic are through search engines like Google and organic social media activity. You can also try A/B testing to identify and resolve potential issues on your website that may be contributing to lost sales in the meantime. With a few simple Facebook ads, you can invite shoppers back to your website, target messages at specific groups of visitors, and reclaim sales you might have otherwise lost. By following these instructions, you’ll be creating remarketing campaigns in just a few minutes — and you might even find the process kind of fun! Do you have any questions about setting up a remarketing ad for your eCommerce website? Or are there any tips you’d like to share with store owners who are trying this out for the first time? Chime in below, we’d love to hear your thoughts and feedback! Great article! I have a question. There is a step, where you create audience, i can give exact product url store.com/product-name as “URL Equals”, and exclude “success.php – WC) file as “excluded url equals” and save it as Audience – product name. So this audience will be visitors who visited product page, might put anything into cart, but haven’t finished purchase? Or is there any other way to remarket visitors for specific product? Hi Gregor, great question. You’re correct in your thinking here: the targeted audience will be anyone who has seen AT LEAST that specific product page, but not the final success.php file that indicates a successful purchase. Facebook also offers Dynamic Product Ads, which you can read a bit more about here: https://www.facebook.com/business/a/online-sales/dynamic-product-ads These are meant to advertise specific SKUs from your store, and can be used with retargeting in much of the same manner suggested above. The ad layout is different, however, and is meant to promote a single item vs. a broad campaign or store. 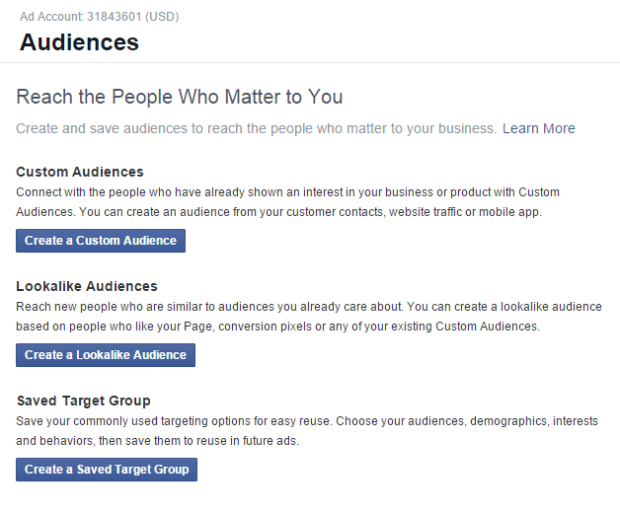 Very Good and Detailed guide for Facebook Ads. Nice post on Facebook re marketing. I have used this service for 3 months and didn’t get a response in terms of checkout. what i believe Facebook is not a good platform for luxury products ( i mean $200 range products). my ads conversion rate is around 0.20 (less than 1 percent). is there anything you can guide me.